This A4 Leather Menu Cover is a stylish solution for your hotel menus and will give them the ultimate luxurious touch. It is part of our bespoke leather collection which is a comprehensive range of accessory designs, colours and finishes. Choose from matt, gloss, mock crock and plenty more; plus, you can opt for natural leather through red to sleek black. The options are endless and we can create a range of accessories to precisely suit your hotel style. You can add messaging* or branding if you like too, for a truly professional touch. All of the items in the leather accessory collection are made to order here in the UK so the lead time is 2-3 weeks, depending on order size. The price quoted here is a guide only as the actual price is dependent on the exact specifications. Minimum order is only 10 items. Please get in touch for a bespoke quote or to place an order. We will endeavour to deliver your goods within 3-5 working days (to UK mainland addresses subject to stock availability) and unless stated otherwise within the product description. Delivery times to international destinations may vary. Bespoke orders will be subject to additional lead times. International deliveries are made by arrangement and costs will vary depending on the size, weight and destination of your order. Transit times may vary and will depend on destination. Before placing your order for international delivery, please contact us for a shipping quotation. If you have any queries regarding overseas delivery, please contact us at info@hotelsuppliesltd.co.uk. We hope that you will be happy with your purchase but if you are not, please notify us in writing within 7 calendar days to discuss a return. If any items were damaged in transit, we ask that you report it to us within 7 calendar days. If the items are visibly damaged on receipt, it’s best to sign the carrier’s delivery note accordingly. Items should be returned in their original packaging complete with all accessories and documentation. Once received back into our warehouse, we’ll issue a replacement or full refund to you via your original payment method and reimburse your reasonable return carriage costs. In the unlikely event that your items are faulty on arrival, you have 14 calendar days in which to inform us of the fault. Items should be returned in their original packaging complete with all accessories and documentation. Once we have verified the fault, we will issue a replacement or full refund to you via your original payment method and reimburse your reasonable return carriage costs. Any items found not to be faulty by us will be returned to you. In this instance you will be liable for the return carriage. If any of your purchases develop a fault, and it’s more than 28 calendar days since receipt, then provided your item is within its warranty period, you are entitled to a warranty repair. Please note that only a select few products are supplied with warranty. If you have simply changed your mind about any item ordered and you wish to return it, then in line with the Distance Selling Regulations (DSR) you can do so provided you inform us of your decision with 7 calendar days of receipt. The item must not be used and must be ‘as new’ when returned to us. Once you have informed us that you wish to return goods under the DSR, you have 28 calendar days to do so, at your own expense. 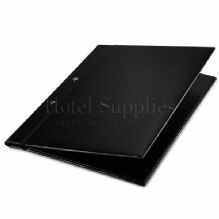 Once the item is received at Hotel Supplies Ltd, we will issue a full refund for the product to your original payment method. Unfortunately, this refund policy does not apply to bespoke items and special order products. Sign up to our newsletter for all the latest news, offers, and information from Hotel Supplies.